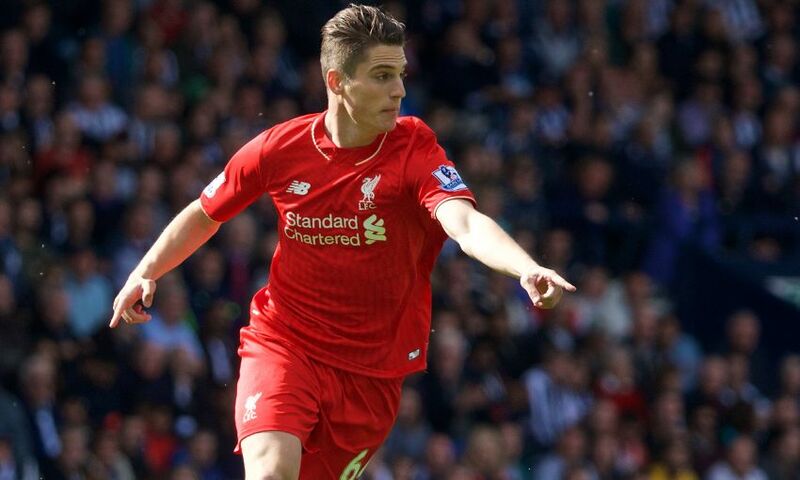 A delighted Sergi Canos reflected on 'the best 10 minutes of my life' after making his Liverpool debut at West Bromwich Albion on Sunday. Following a brilliant season of progress on loan in the Championship with Brentford, Jürgen Klopp handed the No.64 a first senior appearance as a substitute during the 1-1 draw with the Baggies at the Hawthorns. Entering the field as an 81st-minute replacement for Sheyi Ojo, the former Barcelona starlet made it a dream end to a fruitful campaign. Speaking with the Liverpool Echo, Canos said: “I enjoyed that a lot. It was the best 10 minutes of my life. “I was nervous first of all when I went on but after that I just felt like a member of the team. These players are unbelievable and they have welcomed me so much. I am really happy. “I found out on Saturday I was in the squad and it was a surprise for me and my family. I’ve only been back for one week. “The manager said he wanted me to press and to be aggressive and to make an impact. During his spell with the Bees the Spanish forward made 38 appearances and struck seven goals, including their Goal of the Season against Reading. He believes the temporary spell will only stand him in good stead for the future. “It helped me a lot,” Canos added. “It gave me another view of football and how to make your way to become a Liverpool player. “I remember my debut for Brentford against Leeds. I tried to make a tackle and ended up in the stand! It’s a physical league. But it was good for me. It has been a fantastic 2015-16 campaign for the Academy with Klopp handing chances to a host of players. Canos insists it gives everyone huge encouragement to see progression rewarded with a first-team opportunity. He said: “When I was at Brentford it was great to see young players like Cam [Brannagan], Sheyi [Ojo], Pedro [Chirivella] and Kev [Stewart] making debuts. I hoped that one day I could join them and now that day has come. The only disappointment for Canos is that his season is now at an end, but he is determined to keep improving as he strives to carve out a successful career at Anfield. He said: “My family told me it’s sad the season is finishing. It’s been the best season of my life. I made my debut in the Championship, I scored my first professional goal and now I’ve made my debut for Liverpool. I am really happy.